The year is barely mid way that accolades and awards are pouring in for the budding electric car market. Some will surprise you, others are obvious choices. Volvo, Back From The Ice. As fellow writer John Goreham wrote in his C30 Electric wins "Green Car of the Year" in world's most important market: “The Volvo C30 Electric is barely a production car, yet it has just won a prestigious award in China” This comes as a surprise since the electric C30 is barely going into production and has already received the Green Car of the Year. Sometimes the original intentions of awards get muddle somewhere along the lines. Nonetheless, the electric Volvo C30 is a great EV and should make its mark in the history of electric cars. Another European. Gone are the days of the Le Cars and their shoddy quality and handling. The newer Renaults are better, leaving behind the quality shock of the 80s. The Renault’s Twizy won the international Red Dot product design award 2012, albeit more of a design award than an electric propulsion one. 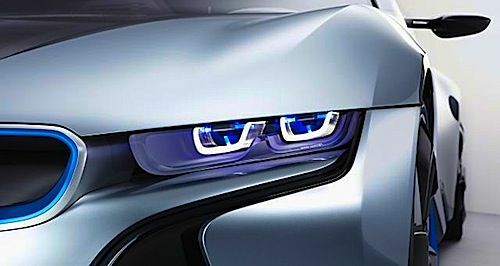 This also reinforces one of my previous points that the design freedom electric cars give engineers and designers opens the doors to more futuristic and fun shapes. Still, the Twizy competed with no less than 4,515 competitors and the 30 international expert judges found the little Twizy took away the Best of the Best product design 2012. As if the Twizy wasn’t enough, the French company rakes in another award, this time the other Renault ZOE Z.E. wins the Next Green Car 'Gold Award' 2012. We previously covered a world record the Zoe broke not too long ago here where the electric car drove the longest distance within 24 hours. The article also covers the difference between Renault’s line of electric cars, which effectively almost covers the entire market. Bavaria’s Assault. Of course we couldn’t forget the stunning, dramatic... I would be running out of adjective before I could even convey the breathtaking look of the i8, especially the original prototype. The North American Concept Vehicle of the Year Award found the i8 wins first place. This is a big win for BMW who squashes 34 other competitors, including the mouth watering Audi R8 e-tron Spyder. What would go on your list? I would add the electric super car Lightning GT. In the Sports category, Drayson Racing's electric Lola B12/19EV. In the fun factor, have we found something to beat the Uber fun Tesla Roadster yet? In the exotic realm, and maybe more in the design award category, the Venturi Volage could take an award or two. And when it comes to Sedan, range and look, what about the Model S? In the meantime, we pass the time away waiting for better, improved electric cars with electric car awards that sometimes defy logic, other times just highlight what they were meant for.